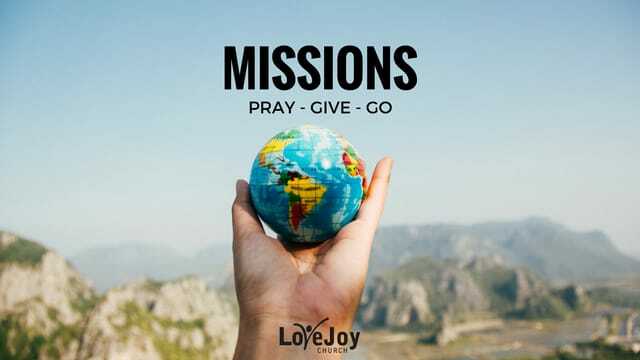 • Missions is anything we can do to help spread the good news of Jesus with the world. • Of the 7.5 billion people living on earth right now, many have never heard the name of Jesus. • This Psalm reveals God’s missionary purpose: that all nations may know His salvation. • God’s blessing to us is meant to be a thorough-fare not a dead end street. • On May 7th we get to make a fresh commitment to missions by handing in our Faith Promise cards for the next 12 months. • There were so many matters Jesus and His disciples could have discussed during his final forty days on earth, but Christ’s mind was filled with encouraging His followers to take the good news everywhere. Friday, April 28, 2017 at 12 noon. Ladies, let's meet at Water Lily Cafe, 5354 Genesee Street, Bowmansville, just down the street from church. You can view the menu online. Any questions, call Linda Palm, 684-8289 or Kathy Knoll, 400-4415. Hope to see you there! We invite you to experience more of God’s presence with us! Our Prayer nights are a great way to press in for more of God, hear His voice more clearly and strengthen your prayer life. 'If two of you agree here on earth concerning anything you ask, my Father in heaven will do it for you' (Matthew 18:19-20). To celebrate missions at Love Joy everyone is invited to our annual ‘Taste of Nations’ lunch. Please bring a finger food to share from your ethnic background. We’d appreciate it if you would stop at the table in the lobby and let us know what you are bringing. Ladies you are invited to the W2W Annual Spring Luncheon on Saturday, May 13th at Salvatore's Italian Gardens, 6461 Transit Rd, Depew, NY 14043. Enjoy a delicious buffet lunch at this premier fine dining restaurant. Bring your loved ones. Lunch will be served at 12 noon. Tickets must be pre-purchased in the lobby. $23 adult buffet, $18 plated child’s meal.